I had this book, edited by Allie Esiri, out of the library for about three weeks before I realized, “You’d better buy it.” Allie Esiri’s life work is poetry and short pieces of literature. Along with this book, she has edited A Book of Poems For Every Day of the Year and The Love Book, a collection of literary pieces about love. She has also created the iF Poems App, which was meant as an educational app for children. In this volume, Esiri curates a collection that will broaden your knowledge of poetry and its breadth. Each piece is introduced with some historical and literary notes by Esiri. There are poems that I have not thought of since childhood, such as Wordsworth’s I Wandered Lonely as a Cloud and George MacDonald’s The Wind and the Moon. But for all the wonderful poems included in this book, it was a piece of prose that was most provocative. The entry for November 19, on the anniversary of its original erudition on November 19, 1863, is Abraham Lincoln’s Gettysburg Address. The Gettysburg Address written out takes not more than three quarters of a page, but it has travelled well, for who cannot remember some of its most famous lines? Or the speaker himself, the great American President Abraham Lincoln? His message carried for years in one of the shortest political speeches ever. And it is poetical in its use of rhetorical devices. 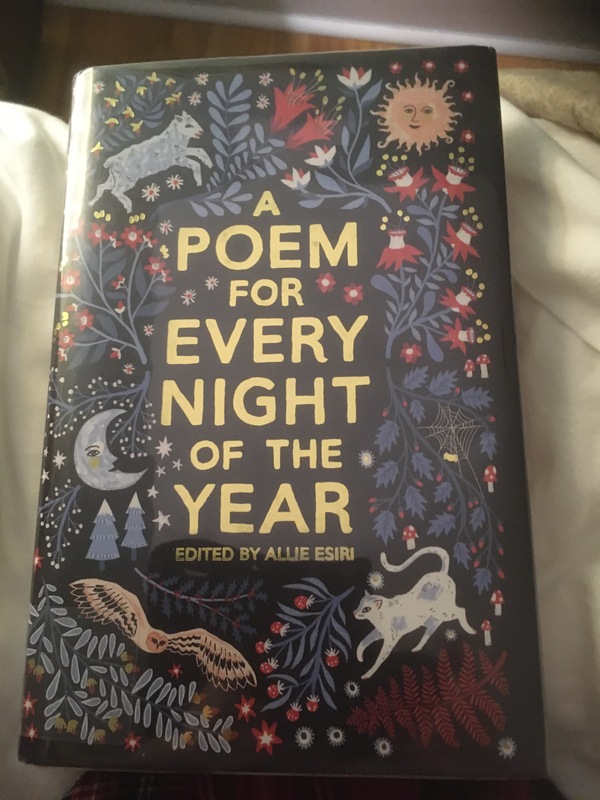 Esiri has made poetry her life with all her various projects and this book was a reminder that we could all use a poem every day – or night, just before we enter our dreams, where all poetry is likely born. To start you on this journey, here is Christina Rossetti’s nursery rhyme, What is Heavy?